I'm starting to get concerned about the potential for severe thunderstorms and even a tornado or two farther west into south central and southeast Kansas as well adjacent parts of Oklahoma. See map below. This is in addition to the risk area outlined in the posting below. 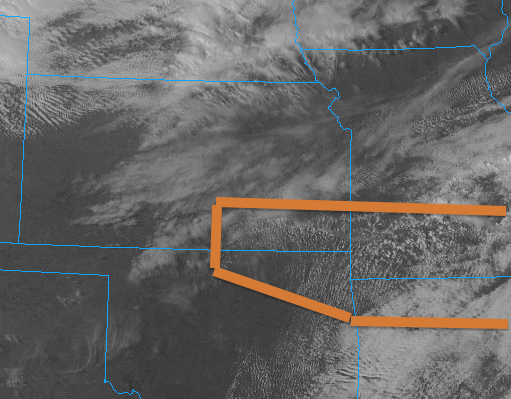 I recommend that people in the area outlined in orange keep an eye on the weather after 5:30PM through late evening.